The Narwhal is an amazing animal of the cold sea, and is rarely seen! Once thought to be a mythical creature due to this. 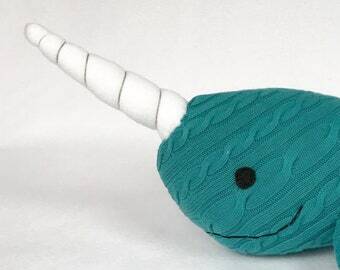 But, this plush Narwhal is an original design by me. 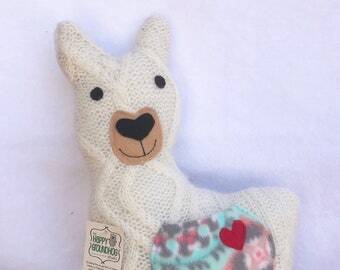 He is handmade and crafted from upcycled sweaters. 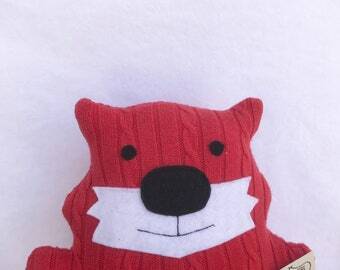 All details on this guy are done in an eco-friendly felt that was recycled from plastic bottles. Stuffing is hypoallergenic. He is about 21" in length, including the horn, and about 7" wide. Like all my critters he has a sweet little heart sewn on for that extra touch of love. This listing is for one Narwhal. 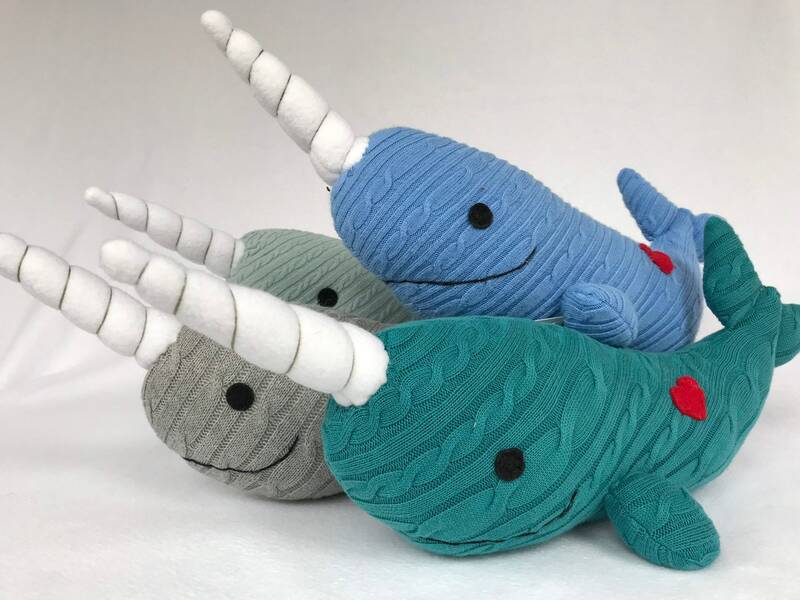 If you would like multiple Narwhals or would like another color combination, feel free to contact me for a custom order. 100% Handmade in the United States. 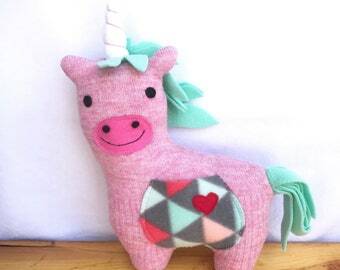 What a sweet little stuffed rattle! So darling - great size for little hands and beautiful craftsmanship! This was a gift for a friend - so glad to find this, and my friend loved it! 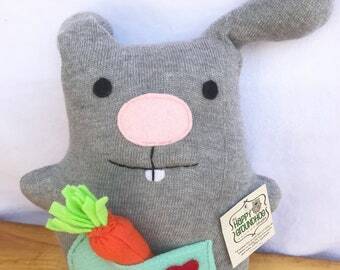 Super cute baby gift for a groundhog baby.